In June, the U.S. Department of Energy (DOE), Washington, D.C., sent Congress a report that highlights various issues that keep industry from achieving better energy efficiency. “Barriers to Industrial Energy Efficiency” also pinpoints opportunities to address many of these factors. The report and the study that underpins it were prepared in response to Section 7 of the American Energy Manufacturing Technical Corrections Act; it directs the Secretary of Energy to conduct a study, in coordination with industry and other stakeholders, of barriers to better industrial energy efficiency. • combined heat and power. For each area, the report looks at three types of barriers: economic and financial; regulatory; and informational. It identifies 42 barriers overall and describes ways of dealing with many of them, including specific examples of what some companies and government bodies already are doing. For instance, the report cites six economic and financial factors working against better end-use energy efficiency. One is internal competition for capital — for which it sees opportunities for alternative financing structures, such as Minnesota Power’s on-bill financing; the utility loans money and recoups it via ongoing charges on bills. Another hurdle is companies’ failure to recognize the non-energy benefits of efficiency improvements — which it suggests may be addressed in several ways, including by providing guidance on how better efficiency can lead to emission-reduction credits in certain regulatory schemes. In the regulatory area, the report identifies five barriers against better end-use energy efficiency, including environmental permitting. For that, it sees several opportunities, e.g., updating the New Source Review process to encourage efficiency improvements within the framework of the Clean Air Act and other statutes. The report also lists four informational barriers to better end-use energy efficiency. For example, it notes that metering and energy consumption data often are too aggregated to drive improvements at specific operations. 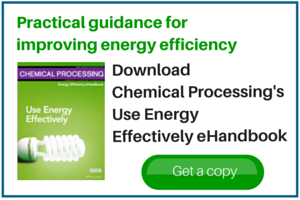 However, it also points out that companies such as 3M and PPG Industries now are allocating energy costs to business units or production lines based on submetered energy data. Three economic and financial barriers, five regulatory hurdles and three administrative ones hobble demand-response efforts, says the report. For instance, on the regulatory front, most states exclude demand response from energy efficiency resource standards. So, the report suggests, states should consider emulating Arizona, whose program treats demand response as an eligible activity. Combined heat and power suffers from the most barriers — six economic and financial, eight regulatory and two informational. One key point the report makes is that some barriers in the three areas overlap, as do opportunities. Indeed, it stresses, in many cases a single action or group of actions can tackle multiple barriers. The report pinpoints a variety of ways government agencies can help address such hurdles. For instance, it sees an opportunity for regulatory bodies to consider, where appropriate, various methods to align utility and industry incentives to achieve greater savings. The report also sees an opportunity for expanded technical assistance to industrial facilities through existing efforts, such as state energy efficiency programs, to help companies cope with lack of in-house technical expertise. The report and its supporting study are downloadable at http://goo.gl/GDNqZR and http://goo.gl/8aHuwg.